Enjoy reading and share 45 famous quotes about Not Living In Fear with everyone. “Religion has no power if God is not truly 'dangerous,' but religion also seeks to manage God, and make God safe. The second commandment speaks against the management of God. We cannot help but make our images of God, for God has given us imagination. But every image we make of God is finally a box: a cage, potentially an idol, from which the living God keeps breaking out. And if we try to keep God there, then God comes out with 'jealousy' to overturn our careful construction. “Real confidence has a realistic view of itself. It knows what it is capable of and not capable of. Real confidence does not need to overcompensate for anything, it doesn't have to try harder to be more than what it already is. Real confidence does not beat itself up when it makes a mistake. Real confidence is secure enough to let someone else take the credit for something, without losing its own identity. Real confidence is humble. Real confidence recognizes its weaknesses and limitations, and is secure enough to admit when it is wrong. “FEARLESS' is not the absense of fear. It's not being completely unafraid. FEARLESS is having doubts. Lots of them. FEARLESS is living in spite of those things that scare you to death. FEARLESS is falling madly in love again, even though you've been hurt before. FEARLESS is getting back up and fighting for what you want all over again ... even though every time you've tried before, you've lost. It's FEARLESS to have faith that someday things will change. FEARLESS is having the courage to say goodbye to someone who only hurts you, even if you can't breathe without them. It's FEARLESS to say "you're NOT sorry," and walk away. “Little by litter life returned to normal. The barbed wire which fenced us in did not cause us any real fear. We even thought ourselves rather well off; we were entirely self-contained. A little Jewish republic ... We appointed a Jewish Council, a Jewish police, an office for social assistance, a labor committee, a hygiene department - a whole government machinery. “I look around me and see all the problems. I know people aren't living the gospel. I know they are too busy. The world is too loud. the substance of love and kindness. I hear gossip, I hear spite, I hear fear. I do not hear the gospel. 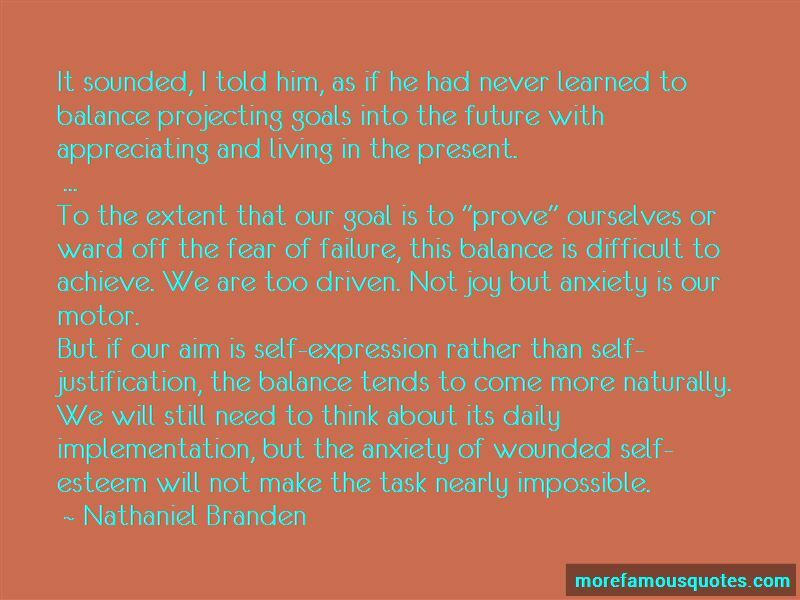 “It sounded, I told him, as if he had never learned to balance projecting goals into the future with appreciating and living in the present. 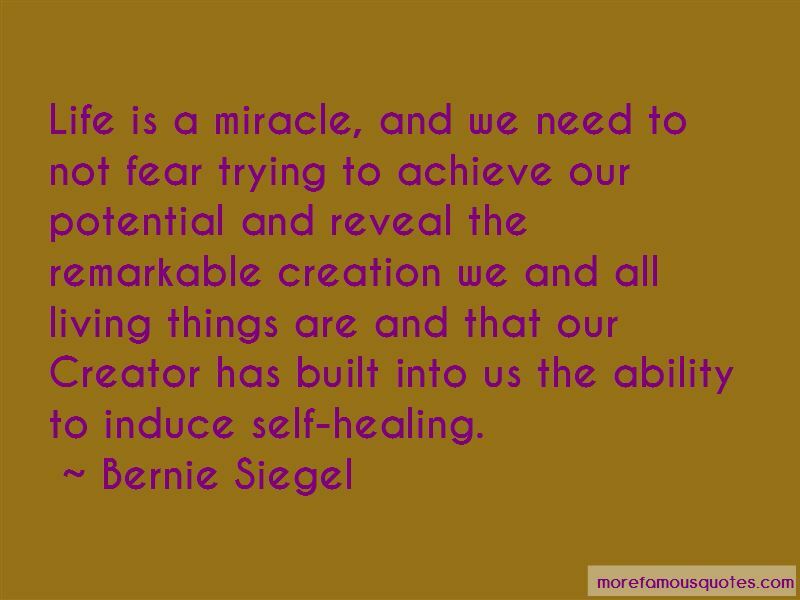 To the extent that our goal is to "prove" ourselves or ward off the fear of failure, this balance is difficult to achieve. We are too driven. Not joy but anxiety is our motor. Want to see more pictures of Not Living In Fear quotes? 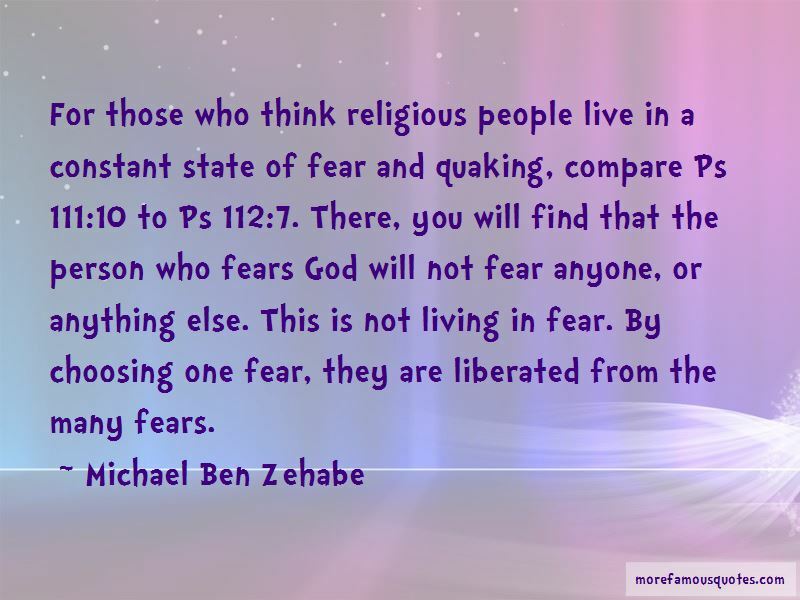 Click on image of Not Living In Fear quotes to view full size.